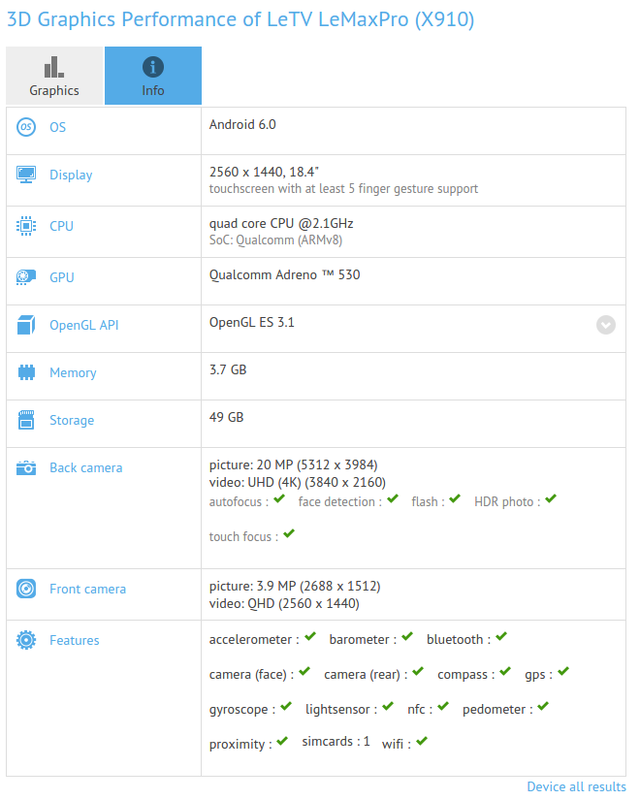 According to GFXBench, The LeLax Pro smartphone will be a high-end smartphone powered with Qualcomm’s Snapdragon 820 chipset which showed 133,357 on AnTuTu Benchmark. Snapdragon 820 definitely shows pretty impressive scores over Exynos 8890 and Kirin 950 chipset. 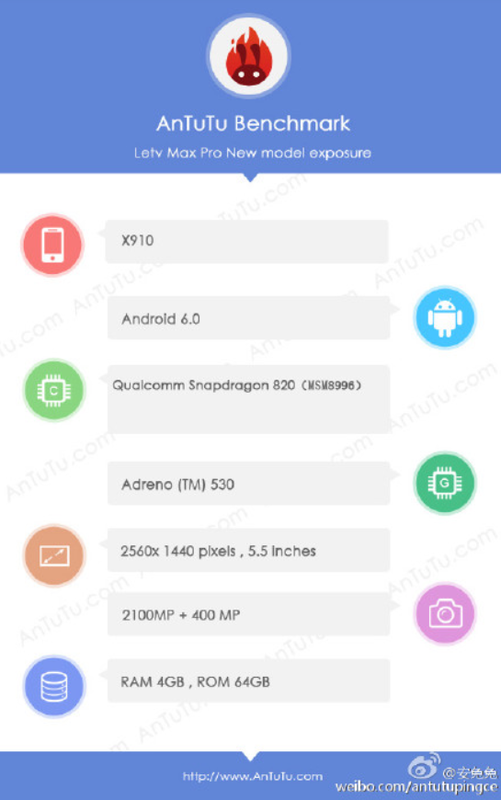 Internally, the LeMax Pro will feature 5.5 inch Quad HD display with 2560 x 1440 pixels resolution, 4 Gigs of RAM, 64 GB internal storage, 21 mega pixel camera, 4 mega pixel Ultrapixel snapper on the front, Android 6.0 Marshmallow and Adreno 530 GPU.